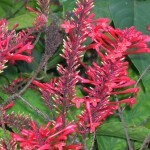 Firespike (Odontonema strictum) - Richard Lyons Nursery, Inc.
Firespike can really fool you. 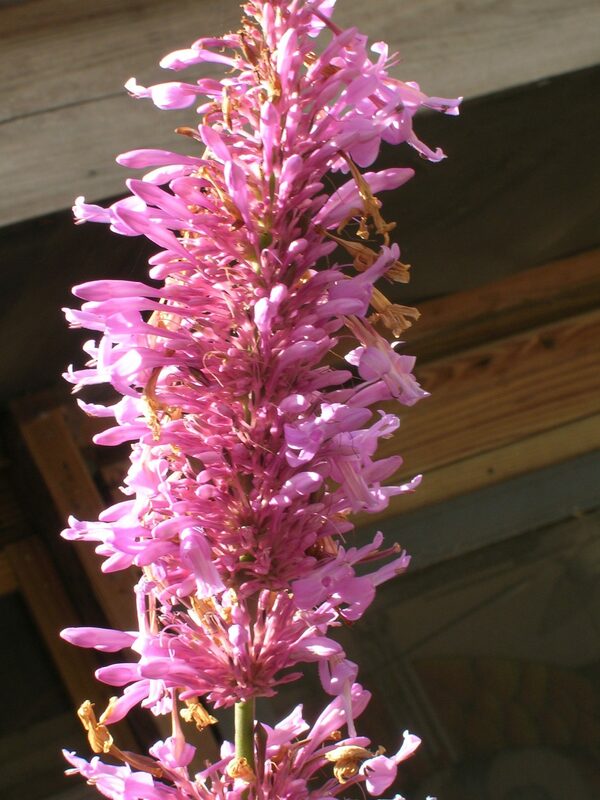 You might think that a plant native to Central America would perform poorly in cold weather, but this species is capable of doing quite well along a huge swath of the U.S. running almost uninterrupted from southern South Carolina to southern Washington. And it’s beautiful to boot! This evergreen shrub, known botanically as Odontonema strictum, bears stiff, mostly upright, sparse branches that reach about 6 ft. in height. Its dark, shiny, oblong leaves are pinnate, measuring 4-6 in. in length. Its native habitat is semi-forested, and so it comes as no great surprise that Firespike has become naturalized in disturbed hammocks around peninsular Florida. In the coldest places where it is found in the U.S., it dies back to the ground in the winter, but in southern Florida, it grows as an evergreen semi-woody shrub. This species thrives in moist soils, but they should be well-drained. 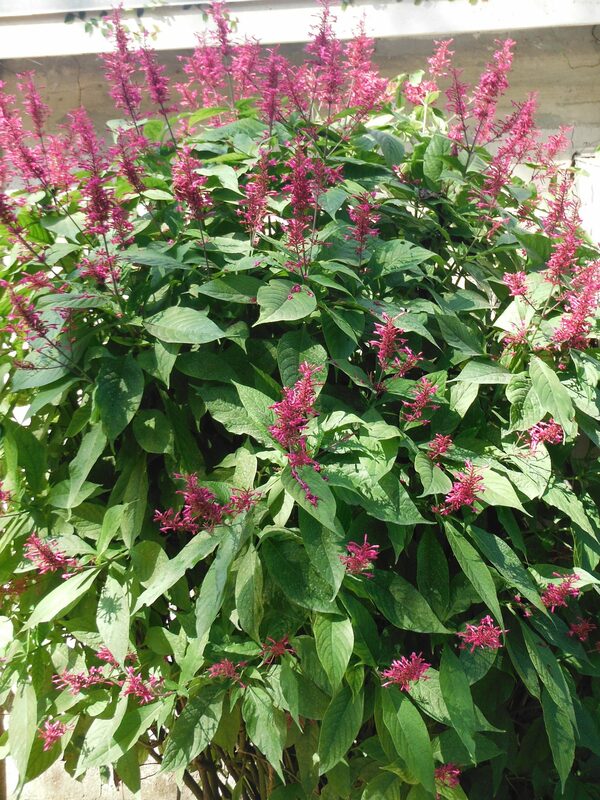 It can tolerate considerable drought, and in residential settings, watering can be reduced during the winter. It is not particularly salt-tolerant. As presentable as it is out of flower, Firespike is really impressive in bloom. 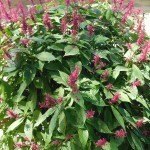 Starting in late summer and extending through the winter, it produces numerous upright 9-12 in. panicles featuring inch-long, tubular, waxy, brilliant red/scarlet, purple, or lavender flowers. 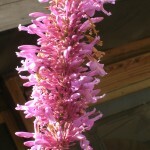 (It should be noted that many botanists consider the purple variety to be a separate species, O. callistachyum.) Although it is at its best in full sun, O. strictum can still put on quite a show in filtered light. 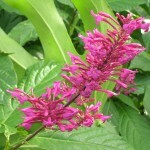 The combination of bright flowers and glossy leaves is eye-catching, especially at the time of year when blooming peaks. 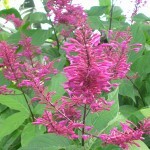 It is particularly effective in mass plantings. 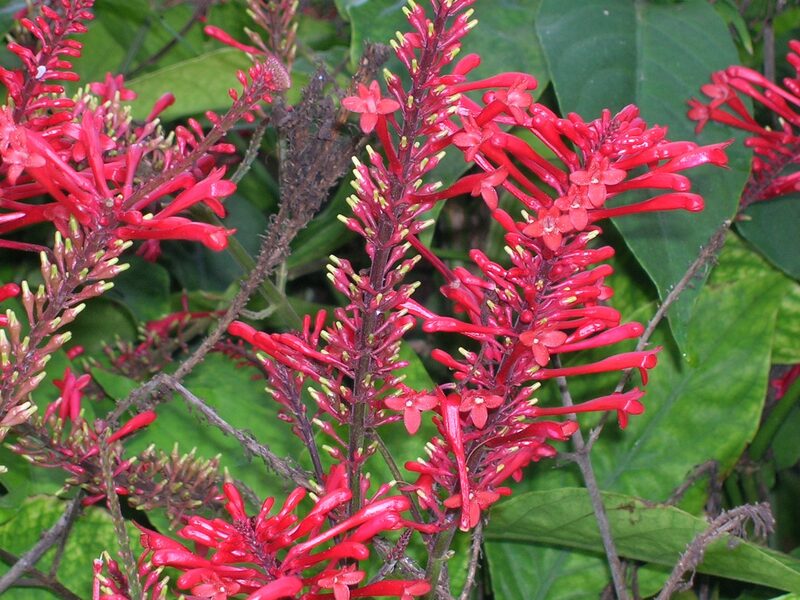 Firespike is not only good-looking, but it also attracts hummingbirds and butterflies. 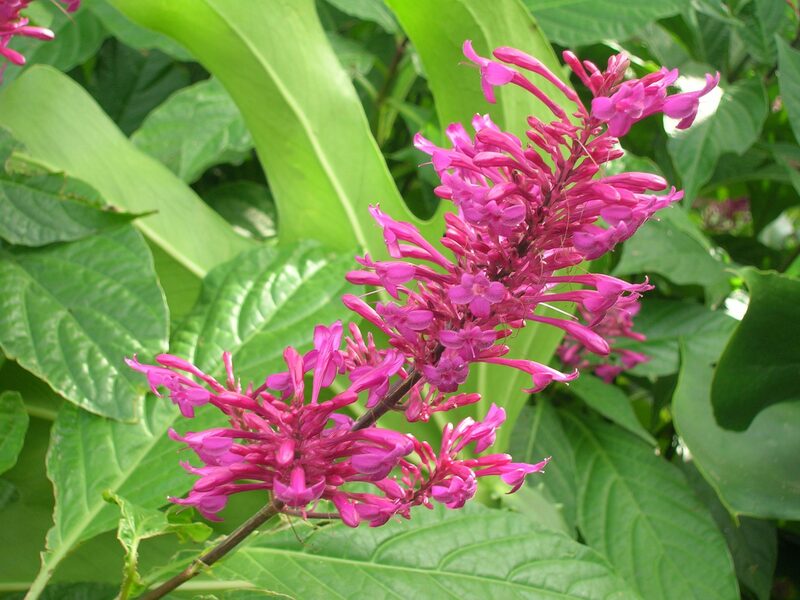 The plant spreads underground, but can also be propagated easily from softwood cuttings that will flower in their first year. O. strictum is also very amenable to pruning. You can either cut it back hard or prune it lightly several times during the year to maintain the look that you prefer. 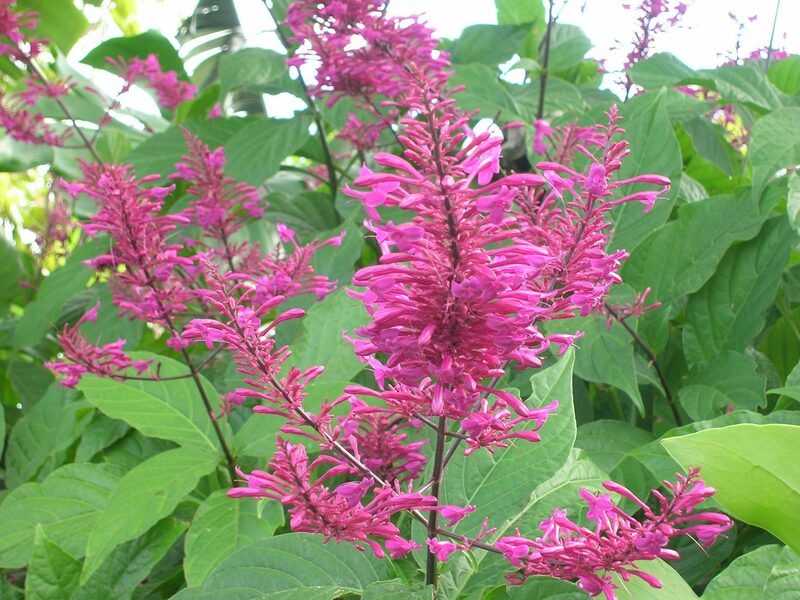 This desirable shrub is available at Richard Lyons’ Nursery in 3-gal. containers.